Beating retreat ceremony that denotes the end of the Republic Day celebrations is performed on the evening of January 29th every year. The ceremony, marks the return of defence forces who had arrived at the capital as part of Republic Day celebrations to their barracks. 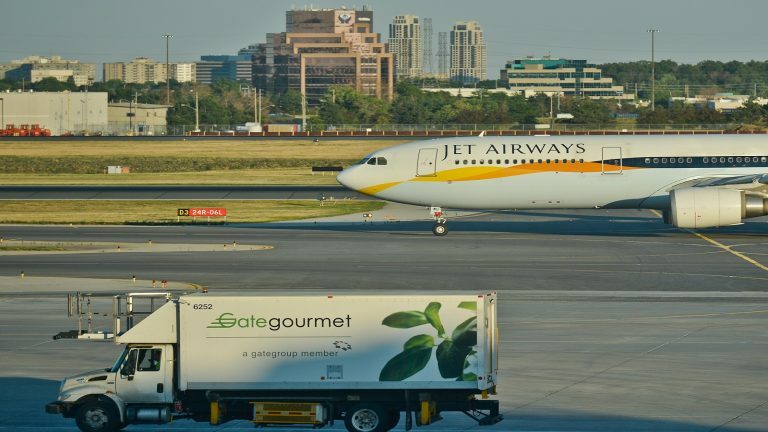 The celebrations include performances by the band of three wings of the military, The Indian Army, Indian Navy and Indian Air Force at Raisena Hills, Vijay Chowk. 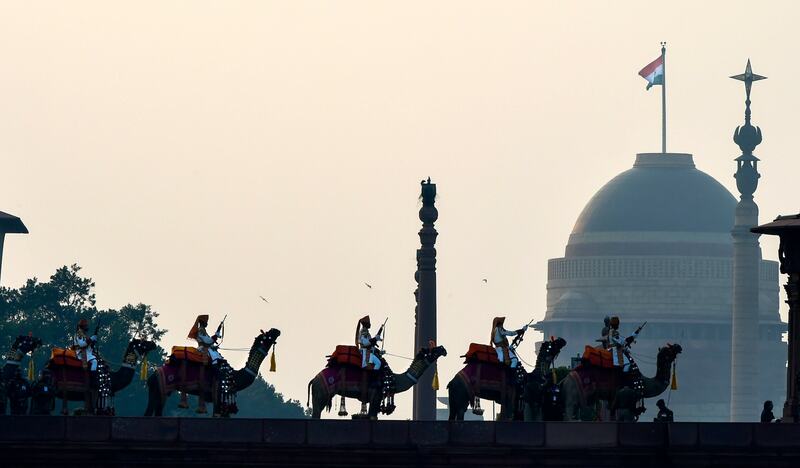 Tri-services band performs during a full dress rehearsal for the Beating Retreat ceremony at Vijay Chowk, in New Delhi, Sunday, Jan 27, 2019. 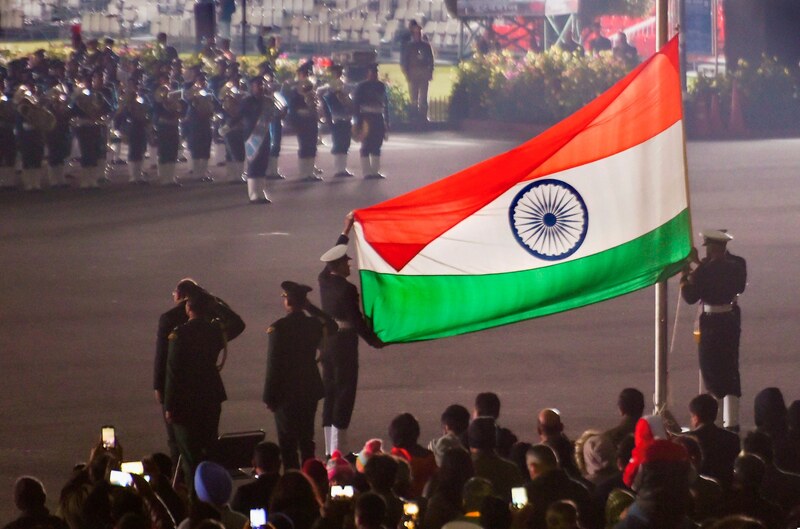 Soldiers fold the Tricolour after full dress rehearsal for the Beating Retreat ceremony at Vijay Chowk, in New Delhi, Sunday, Jan 27, 2019. 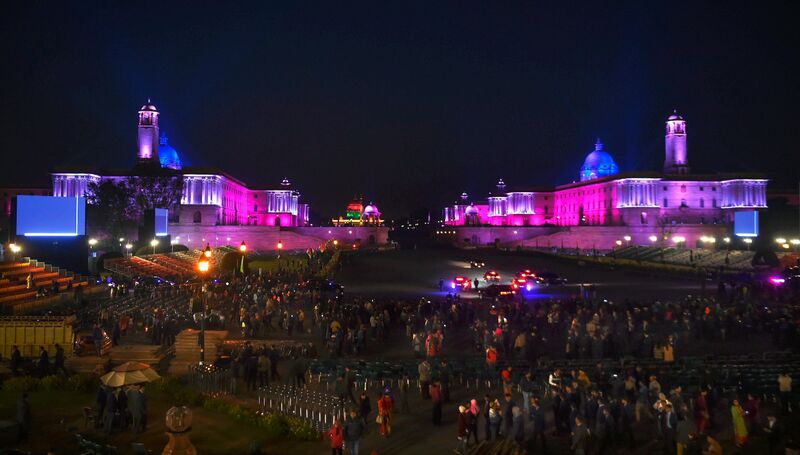 An illuminated Rashtrapati Bhavan after the full dress rehearsal for Beating Retreat ceremony, in New Delhi, Sunday, Jan 27, 2019. An illuminated Raisina Hills after the full dress rehearsal for Beating Retreat ceremony, in New Delhi, Sunday, Jan 27, 2019. 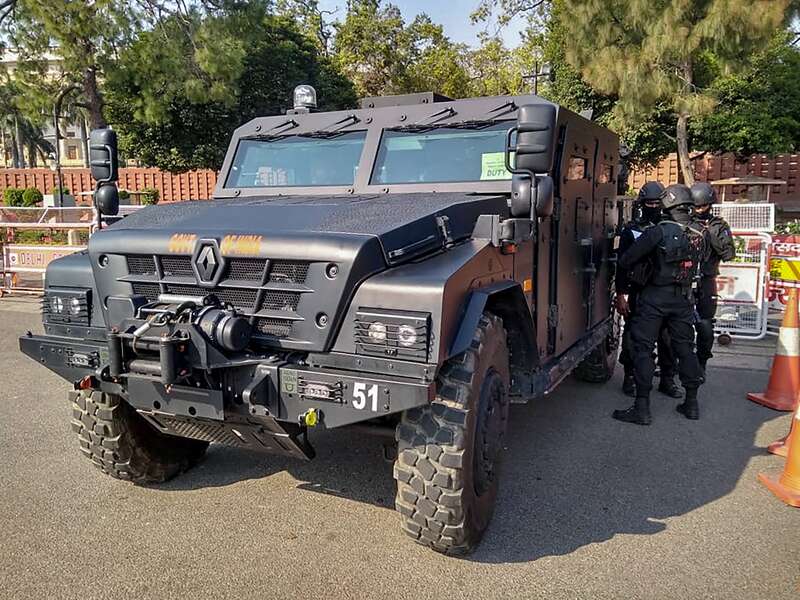 A newly acquired armoured hijack intervention vehicle 'Sherpa' deployed for security at Vijay Chowk during full dress rehearsal of Beating Retreat ceremony, in New Delhi, Monday, Jan 28, 2019. 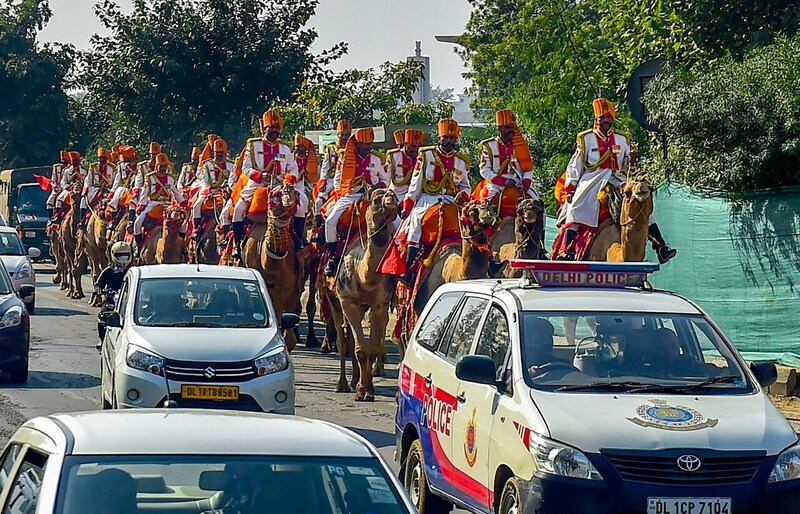 BSF camel contingent during the full dress rehearsal for the Beating Retreat ceremony in New Delhi, Sunday, Jan 27, 2019.